After two weeks of arguing, the gang ends with a surprisingly amicable discussion on the Death of X. 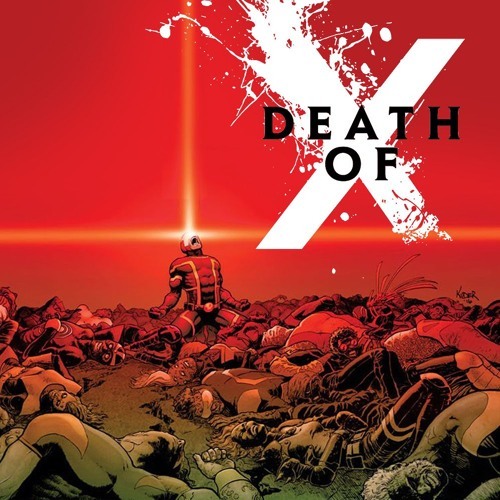 Death of X being either the death of Cyclops or the death of the X-Men as a franchise however you wanna look at it. But don’t worry, we’ve got Inhumans now! They’re way cooler. Ryan can’t help but be inspired by Obama-esque speeches, even when they’re delivered by people with stupid Xes on their faces. Sly goes off about the inaccuracies present in the Official Marvel Handbook and it’s explanation of the punch dimension. Phil identifies a lot with Cyclops’ desire to find someone to kill him while Darryl critiques the third graders working on Marvel’s art staff. Episode 8 – Is it Okay for Iceman to be Takei?